A squeeze page is a landing page that has been designed to collect an opt-in email address of potential subscribers. It is called a “squeeze” page because it should persuade, encourage or convince visitors to provide their email address for list building. An engaging and relevant headline that is benefit oriented from your readers’ perspective. 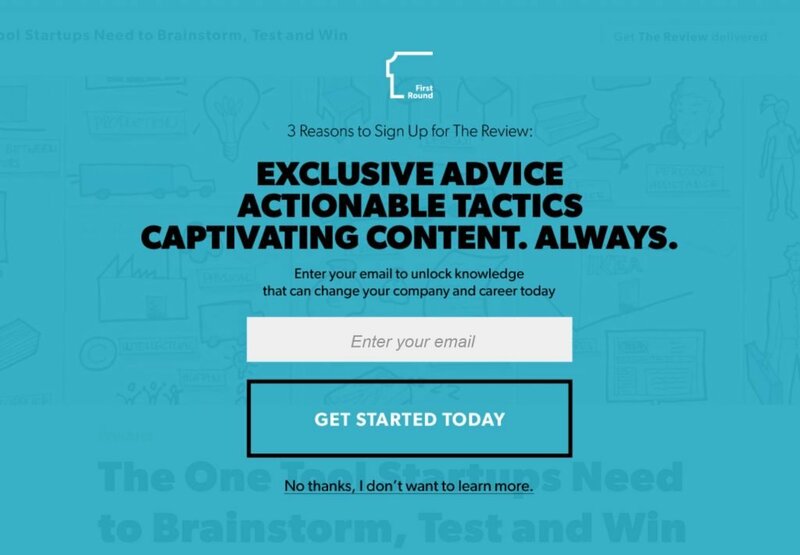 A high contrast email opt-in field this is easy to complete. Brief copy that quickly communicates the value of the offer. A prominent and action oriented call-to-action that helps to persuade prospects to sign-up. The above squeeze page from John Chow at Blog Profit Camp has all these elements. However, as well as compelling copy it uses a short video to reinforce the benefits of signing up with a personal request from John Chow. 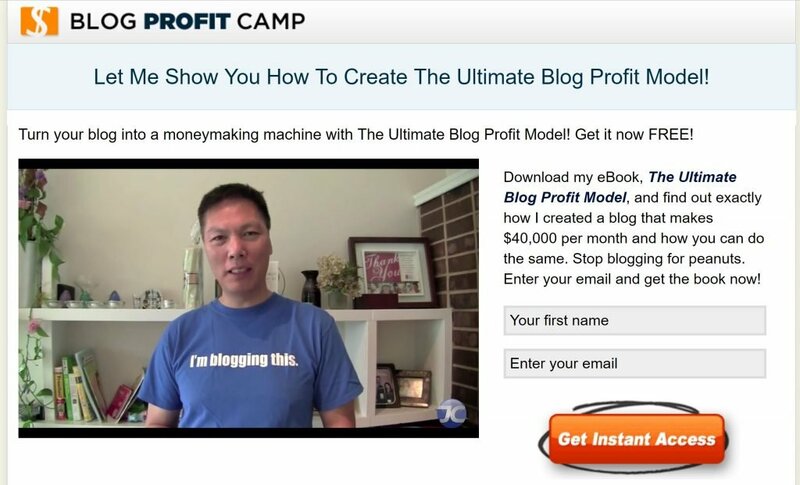 The page also uses the persuasive power of reciprocation by offering a free eBook, the Ultimate Blog Profit Model, in exchange for providing your name and email address. This squeeze page from First Round Capital has a less prominent heading because the three reasons to subscribe are the persuasive content. The use of the phrase “enter your email to unlock knowledge” is a powerful metaphor for using your email address as a key to access valuable information. The wording on the CTA creates a sense of urgency by referring to “today” and the alternative CTA is a hyperlink which uses a negative framing to discourage visitors from clicking on it. What I like about this page from Crazyegg is that it uses its own product to demonstrate the value of its offer. 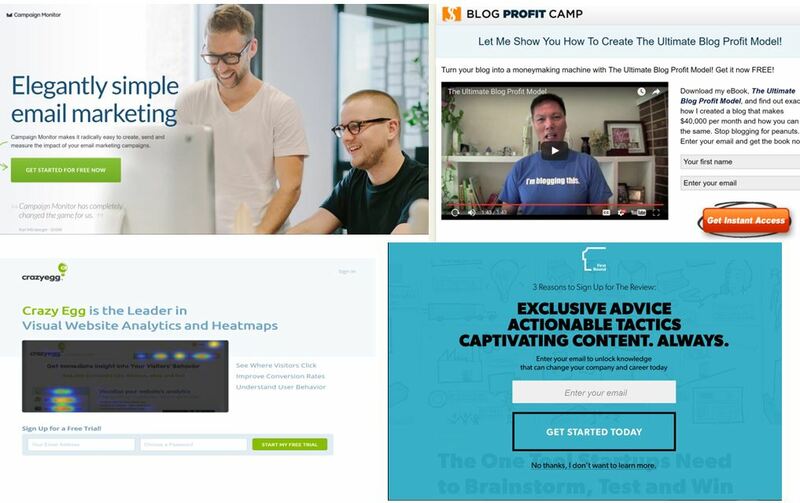 The heading is authoritative which is one of the 6 principles of persuasion and the offer of free trial uses loss aversion to encourage visitors to make a decision to avoid a feeling of regret. Email marketing is one of the most effective ways of driving traffic to your website and so list building should be top of your priorities. Ensure you have an effective squeeze page to help build your email list as it should be one of the most important pages on your site. 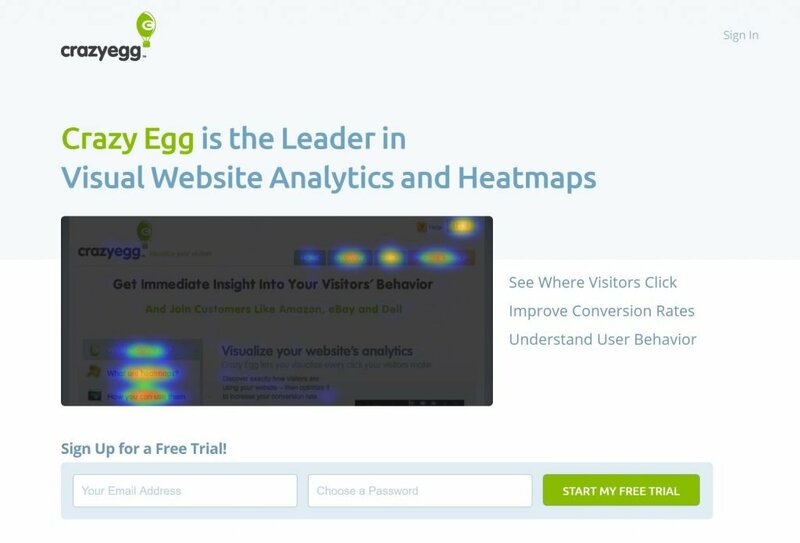 Try A/B testing different designs to optimise your squeeze page experience.